Exothermic Welding, Electrical connections - CHI CHI ELECTRIC CO. LTD. Located in Taipei, Taiwan, CHI CHI Electric Company is a special manufacturing /engineering facility for exothermic weldind material EXOWELD applied in electrical grounding connection systems. 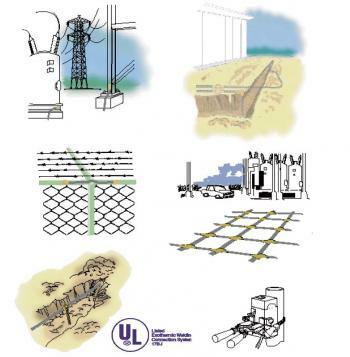 Domestic market include power system, railway, MRT and industrial grounding systems. Product also exported to Japan, Southeast Asia. and through parterner ATI Tectoniks LTD in Hong Kong to Australia, China, and the United States. UL 467 :UL Listed, File No E305374.